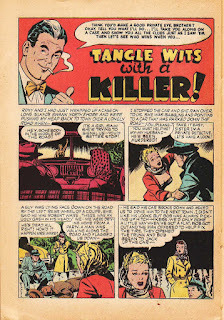 Archie Comics isn't known for publishing crime comics, and especially not in conjunction with another company, Close-Up Inc., which may or may not be the same company that makes the toothpaste. 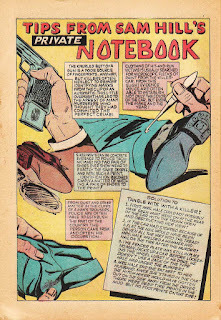 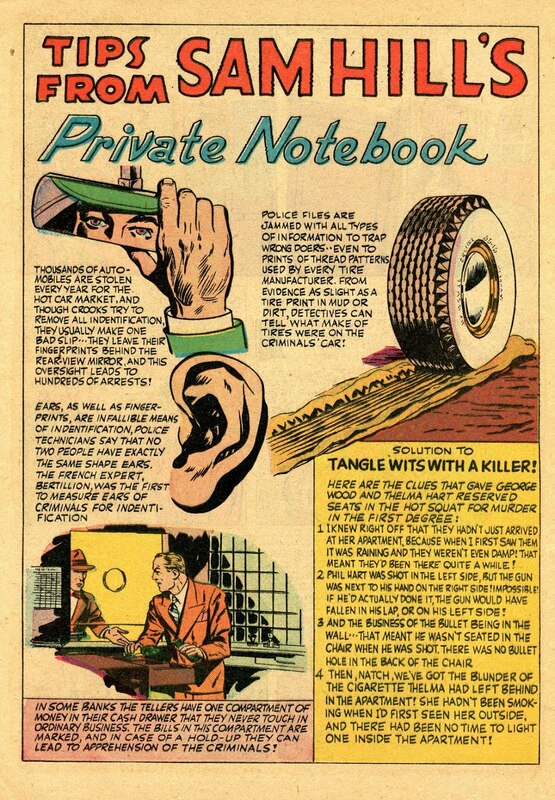 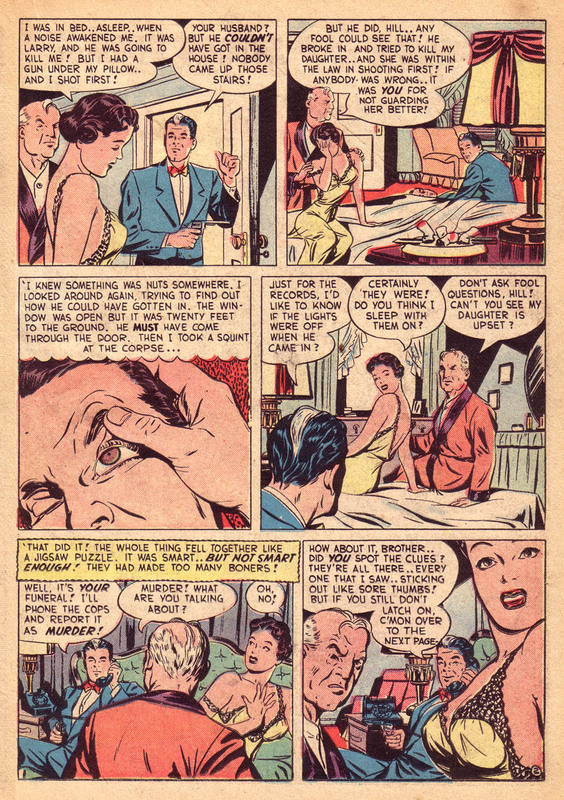 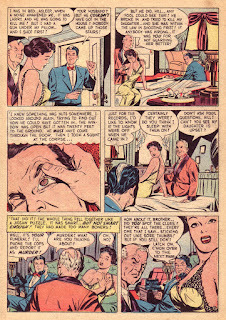 But publish crime comics with Close-Up Inc. they did, in the early fifties. 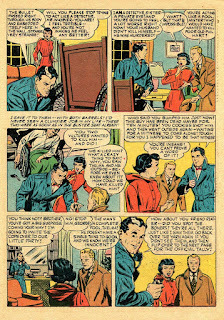 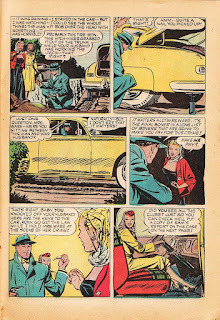 Sam Hill was drawn by Harry Lucey and Harry Sahle, and ran seven issues, with each issue having a number of fairly easy-to-follow mysteries. 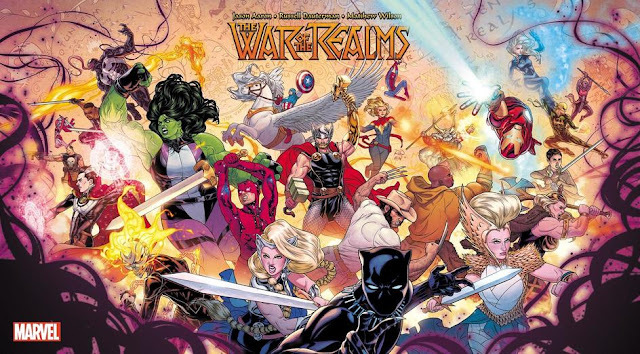 You can download all the issues here at ComicBookPlus. 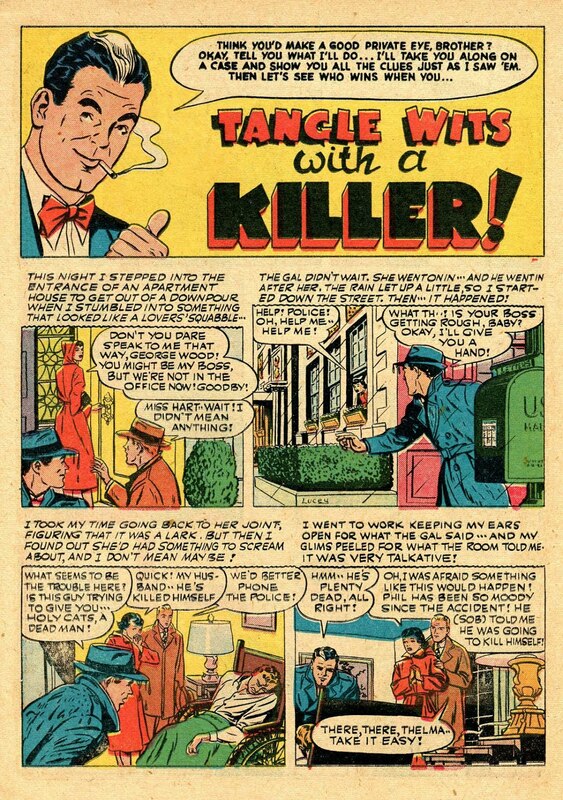 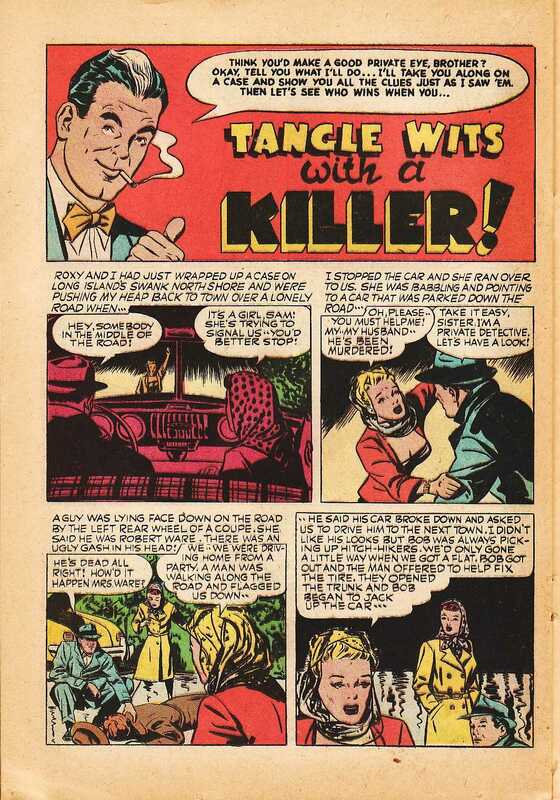 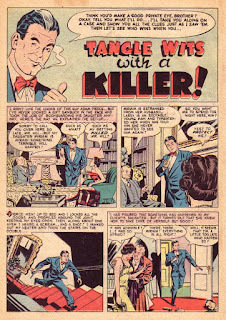 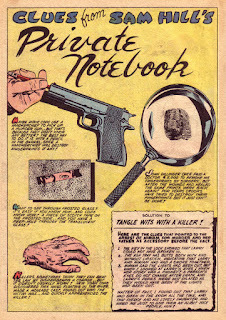 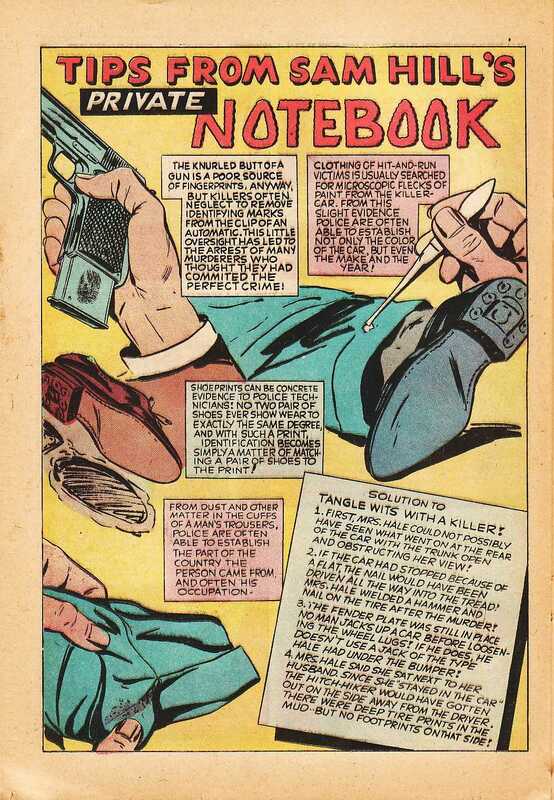 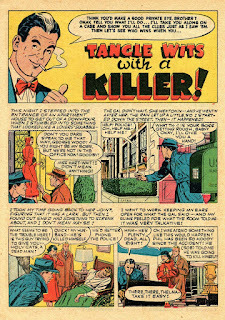 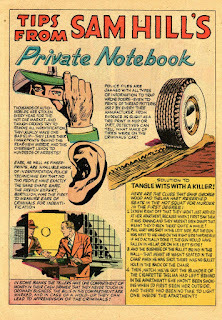 So I present to you, in the interest of visual storytelling and in the interest of fun, straight of of the first three issues of Sam Hill, Private Eye, two-page features called "Tangle Wits With a Killer!" 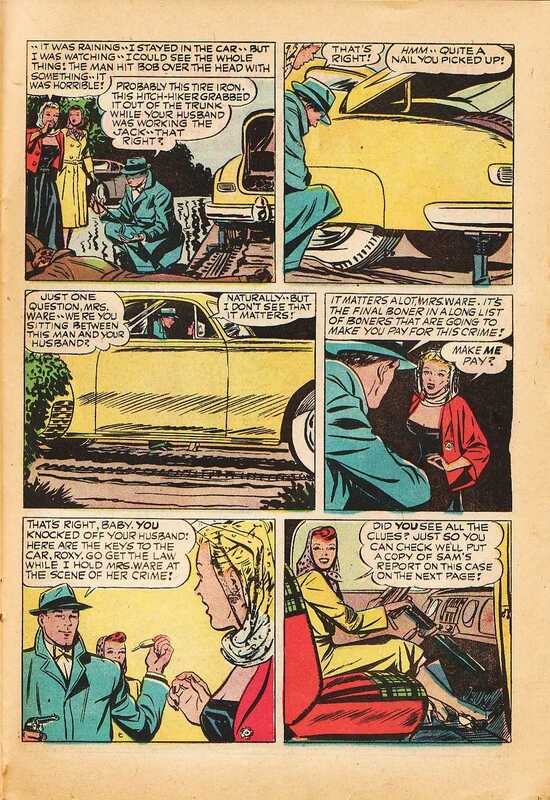 In each story, you're to look at the panels and see if you can spot the clues that led Sam to his conclusions. 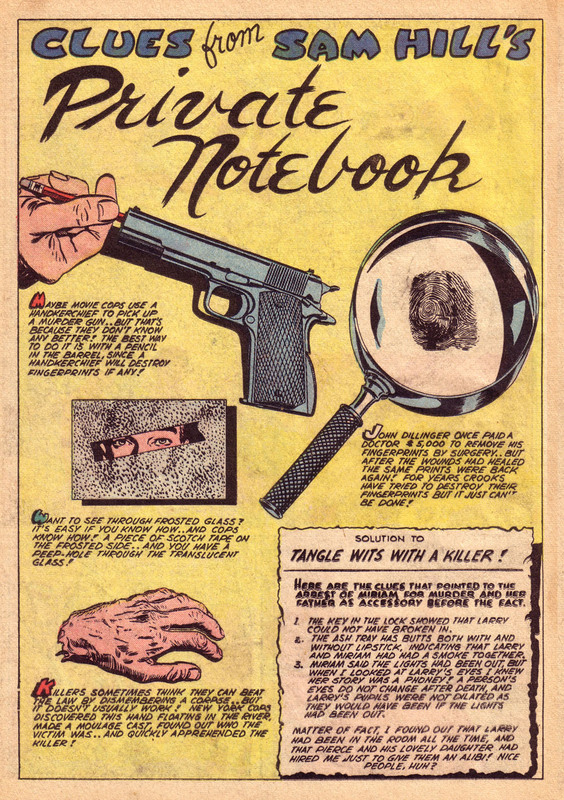 The third page features all the solutions (and some bonus crime facts), so it won't leave you hanging. 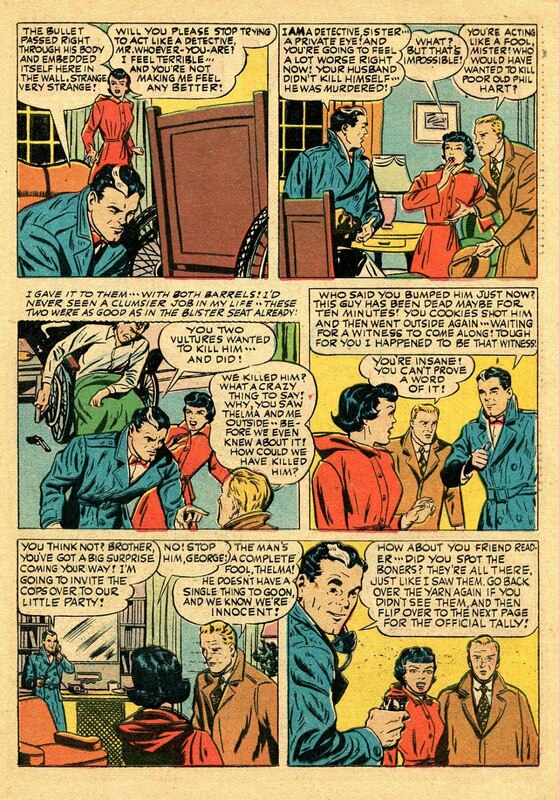 Click on each image to enlarge, and have fun!